after many, many years you figure out how to share the Christmas load of magic making (i.e. shopping, cleaning, decorating, cooking) with your partner… you discover a way to be in it together. the dog and baby are obsessed with the hot pink feather boa my sister bought that Lucy rejected. creating the exact Christmas breakfast feast would go very far in making this the “best christmas ever” to a six year old. that you can actually stay in a Christmas budget. you get a white Christmas just like the movies. the children require toasts and “wishes” (prayers) at every family togetherness moment. even though some family members are sick, you happen to have your very own personal nurse visiting (my sister) who gives excellent care. hibernation made the season merry, bright and oh so chill. What Christmas miracles (big and small) happened at your house? I learned I am going to be an aunt for the first time. Babies and Christmas go together like peas and carrots, I think. My 16-month-old playing baby Jesus in the Christmas pageant, running around in footie pajamas and charming everyone. The way my 4-year-old loved the puppet theatre I stayed up late sewing. She so rarely likes the things I sew, and I so needed her to like this one. 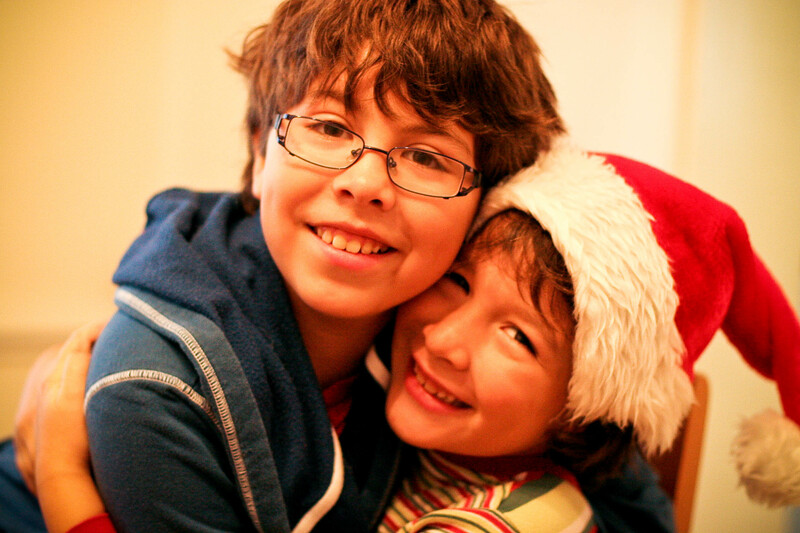 The magic of seeing Christmas through my children’s eyes, that makes the pain in the neck factor very worth it.